Scroll through Oprah’s Book Club: The Complete List, and you will very quickly pick up on some common themes: heartbreak, struggle, tragedy, and ultimate self-discovery. More often than not, the books are historical fiction. And they tend to be beautifully written (if a little heavy handed). It’s no surprise, therefore, that The Invention of Wings is the latest book to be added to the list. Set over the course of about fifty years during the nineteenth century, the book is a split narrative following two women who live in the same house and are about the same age, but who lead very different lives. Sarah Grimké is the daughter of a wealthy judge in Charleston, South Carolina. On her eleventh birthday, her mother bestows upon her a standard gift for a girl of her station: Hetty, a slave girl who will be her handmaiden. I hereby certify that on this day, 26 November 1803, in the city of Charleston, in the state of South Carolina, I set free from slavery, Hetty Grimké, and bestow this certificate of manumission upon her. The next morning, Sarah finds her manumission document (which she had left on her father’s desk the night before) torn in two and left outside her door. So begins her struggle between what she believes is right and how her family and society will allow her, as a young girl (and, later, a woman), to act on those beliefs. Hetty, who prefers to be called her “basket name,” Handful (“The master and missus, they did all the proper naming, but a mauma would look on her baby laid in its basket and a name would come to her, something about what her baby looked like, what day of the week it was, what the weather was doing, or just how the world seemed on that day.”), yearns for freedom. Her mother, Charlotte, has a strong rebellious streak and teaches Handful not to accept that she is a lesser human being. Charlotte vows to save enough money to one day help Handful buy her freedom, and, meanwhile, she makes Sarah promise that she will do everything in her power to make Handful a free woman one day. In their youth, Sarah and Handful form a friendship. Sarah decides that, if her parents won’t let her free Handful, then she will give Handful a different kind of freedom: knowledge. Locked in Sarah’s room, Sarah secretly teaches Handful to read and write (an illegal offense). But as they get older, their relationship becomes more strained, as their differing statuses become more evident. Sarah, who remains a staunch abolitionist and strives toward intellectual endeavors, sees her beliefs and dreams quashed by her Southern family. With her younger sister, Nina, Sarah escapes to the North, where she becomes a Quaker and speaks out publicly and frequently against slavery. Meanwhile, back in Charleston, Handful begins to realize there are grave consequences to suffer for rebellious behavior. Sarah and her sister, Angelina (“Nina”), are not fictional characters. They were vocal abolitionists and some of the first women to speak out in support of women’s suffrage. As I read about the sisters, I was drawn more and more to Sarah and what she’d overcome. Before stepping onto the public stage, she experienced intense longings for a vocation, crushed hopes, betrayal, unrequited love, loneliness, self-doubt, ostracism, and suffocating silence. It seemed to me she had invented her wings not so much in spite of these things, but because of them. What compelled me as much as her life as a reformer was her life as a woman. How did she become who she was? 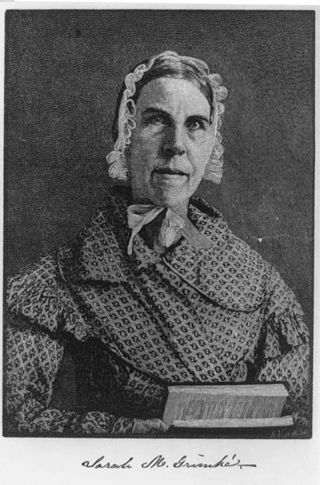 The book was written as “a thinly fictionalized account of Sarah Grimké’s history, but a thickly imagined story inspired by her life.” Many of the actual events from Sarah’s life are incorporated into the book, while Handful is largely fictionalized (she is loosely based on the handmaiden that Sarah was given when she was a girl, but who died a few years later). There’s no question that the Grimké sisters were strong and inspiring women, and their story deserved to be written. But, as I’m sure you can glean from my description, this is standard Oprah’s Book Club fare—both in subject matter and execution. The book is a journey of self-discovery for Sarah Grimké, a woman with beliefs and dreams that were considered extremely radical and who enjoyed little societal or familial support for those beliefs and dreams (aside from Nina, who was thirteen years younger, and whom Sarah raised and groomed to have similar beliefs). Not surprisingly, there are moments (more than a few) that come off as a little trite. And, although based in part on historical events, at times, the book feels contrived and a little too safe (although there are some gruesome moments, the reader is spared some of the harsh realities of the time; Charlotte and Handful both act in unrealistically brazen ways, while largely avoiding major consequences). Nevertheless, the book is engaging, well written, and informative. It’s the kind of book that makes for a good book-club selection generally–there’s a lot of good discussion fodder here (about Sarah’s choices, about parallels to the equal-rights movement today, etc.). And it’s the kind of book to give to a smart, driven, set-in-her-ways young woman who wants make the world a better place. Sarah is certainly a good role model. Who should read it: Tina (i.e., people who enjoyed Jonathan Odell’s The Healing); people who generally enjoy Oprah’s book club selections. One final note: Thank you, Rachel, for the recommendation! 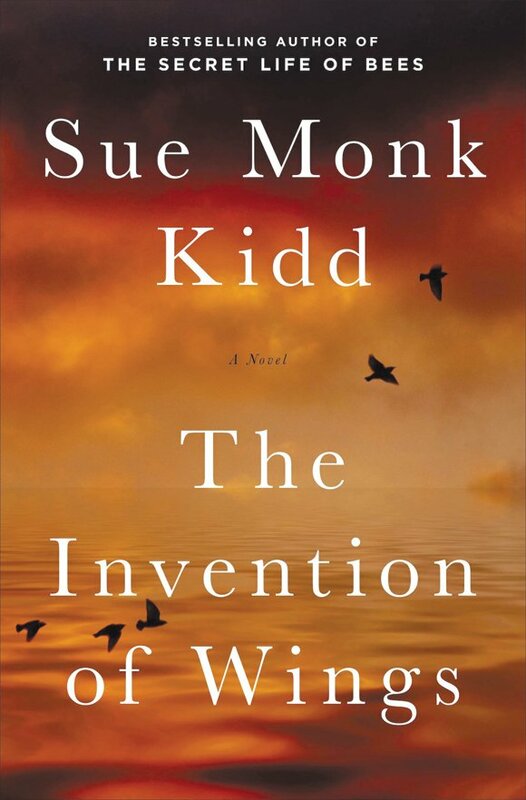 This entry was posted in Rating: 3/5 and tagged Abolition, Book review, Book Reviews, Books, Grimke Sisters, Sarah Grimke, Sue Monk Kidd, The Invention of Wings. Bookmark the permalink.